Coal giant Murray Energy Corp.'s bid to force U.S. EPA to continually evaluate the impacts of its air regulations on the coal industry today came to an end in the Supreme Court. The lawsuit was one of four environmental law cases that justices declined to take up as they returned from their holiday break. The court also rejected a key endangered species case, a Clean Air Act case involving contingency measures for reducing air pollution and a California man's quest to overturn a state ban on a type of gold mining. 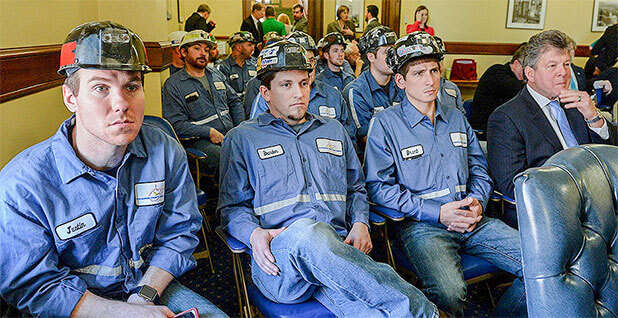 In the coal industry jobs case, justices rejected Murray's petition that sought to revive a West Virginia federal judge's order requiring EPA to evaluate job losses and other economic impacts on the coal industry. The company, under the leadership of Trump supporter Robert Murray, initially filed the suit in 2014, characterizing it as fighting back against the Obama administration's "war on coal." It alleged that EPA had failed to abide by a section of the Clean Air Act that says EPA "shall conduct continuing evaluations" of job losses or employment shifts brought on by air regulations. Judge John Preston Bailey of the U.S. District Court for the Northern District of West Virginia issued several rulings in favor of Murray, culminating in an order that required EPA to submit by July 1, 2017, an evaluation of how its regulations affect coal jobs, mine closures and power plant shutdowns. The Trump administration's Justice Department appealed the order to the 4th U.S. Circuit Court of Appeals, which overturned it in June, just days before the July 1 deadline. The administration's position raised some eyebrows, as President Trump has repeatedly pledged to boost the coal industry. But the new administration was maintaining the arguments of the Obama DOJ, likely hoping to preserve EPA's discretion under the Clean Air Act. In its unanimous decision, the 4th Circuit completely overturned Bailey's order. It agreed with government attorneys that EPA had "considerable discretion" over how it goes about evaluating economic impacts of its regulations and that the district court had no jurisdiction over such "a broad, open-ended statutory mandate" (Greenwire, June 29, 2017). After being shot down by the appeals court, Murray took its case to the Supreme Court. In a September petition, the company argued that there was "no question" that Congress intended EPA to conduct mandatory evaluations of the job impacts of its air rules. "The Fourth Circuit has immunized EPA from evaluating the job losses suffered by the coal industry due to EPA's unprecedented efforts to curtail coal combustion," Murray said. The Trump administration, though, again asked the high court to reject the company's lawsuit. DOJ attorneys argued to the high court that Murray incorrectly asserted that the Clean Air Act's jobs provision imposed an "act or duty" on EPA that the courts could compel. A hot-button legal dispute over whether the federal government can issue Endangered Species Act protections for a species that's found in a single state also today dead-ended in the Supreme Court. The Fish and Wildlife Service issued the rule in question in 2012 to prohibit the "take" of the Utah prairie dog without a permit. The species is found only in the southwestern part of the state, with about 70 percent of the population living on private land. Represented by the Pacific Legal Foundation, a group of property owners challenged the rule, arguing that the Commerce Clause didn't authorize the regulation of a species that lives in just one state and that has "no substantial effect on interstate commerce." A district court initially sided with the challengers, but the 10th U.S. Circuit Court of Appeals in March unanimously overturned the ruling, finding that "piecemeal excision" of species that live purely in one state "would severely undercut the ESA's conservation purposes." Judge Jerome Holmes, a Republican appointee, wrote that the Utah regulation is part of the larger Endangered Species Act scheme that, in aggregate, has impacts on interstate commerce. "The substantial relationship between the ESA and interstate commerce is patent," Holmes wrote (Greenwire, March 29, 2017). 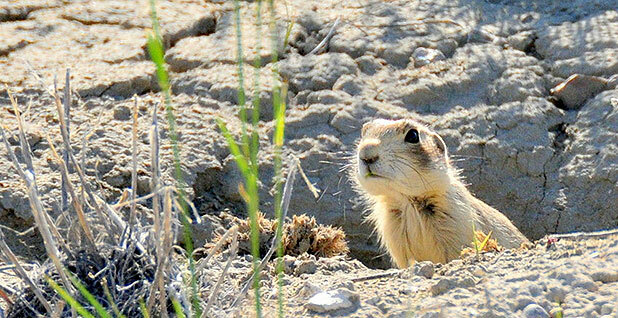 Backed by the Pacific Legal Foundation, property owners petitioned the Supreme Court to take up the case, arguing that the 10th Circuit's decision raised "significant federalism concerns," as well as undermined Utah's efforts to protect the prairie dog (E&E News PM, May 15, 2017). DOJ, though, told the Supreme Court that the appeals court got it right in rejecting the Commerce Clause challenge to the endangered species law because protections implicate commercial activity and the economy. "It would make little sense" to disregard the commercial nature of the broader Endangered Species Act regime, government attorneys wrote. Last week, Solicitor General Noel Francisco informed the court that it is planning to work with Utah and county government to "develop greater regulatory and management flexibility" for property owners affected by the ban on harming the prairie dog. On Dec. 19, 2017, the Fish and Wildlife Service made available for comment a draft conservation plan meant to streamline permitting incident take authorizations for "many types of development activities." According to Francisco, three Utah counties are applying for "master incidental take permits" that would authorize property owners to undertake projects that may harm the species. The Supreme Court today also declined to hear a Clean Air Act petition brought by Arizona challenging a lower court's rejection of its contingency measures for reducing air pollution. At issue is a plan Arizona submitted to U.S. EPA for reducing particulate matter around Maricopa County, Ariz. The plan included measures that went beyond what was necessary to achieve the national standard for the pollutant, a requirement for areas that have struggled to meet the limit. But Sandy Bahr, director of the Grand Canyon Chapter of the Sierra Club, challenged EPA's approval of the state plan, arguing in part that EPA couldn't approve contingency measures that had already been put in place. Arizona had implemented the five measures in its plan, including stabilizing public dirt roads, before EPA approved it. In a split decision, the 9th U.S. Circuit Court of Appeals agreed with Bahr that contingency measures cannot be ones that were already implemented at the time of EPA approval. Judge Sandra Segal Ikuta wrote for the majority that the Clean Air Act was clear that such measures have to take place in the future. Arizona petitioned the Supreme Court, challenging the 9th Circuit's findings on contingency measures and arguing that it created a split within the circuit courts. According to Arizona, EPA has long interpreted the Clean Air Act to permit adoption of such contingency measures. The state stressed that it had taken extra steps to improve air quality even though they weren't mandatory at the time. DOJ, though, had urged the high court to leave the 9th Circuit decision in place, arguing that it didn't conflict with other circuit courts. DOJ also said EPA would re-examine issues related to contingency measures to clarify the agency's approach. Late last year, the Supreme Court rejected another Clean Air Act case. Justices declined to step into an air permitting fight between DTE Energy Co. and U.S. EPA over when modifications are "major" under the law (Greenwire, Dec. 11, 2017). Justices also rejected a California man's quest to overturn a state ban on a method of mining gold from streambeds. Brandon Rinehart had challenged California's 2009 ban on suction dredge mining, which involving sucking up sediment from streambeds, running in through a sluice and returning it to a stream. California had criminally prosecuted Rinehart for using the practice to mine a claim in Plumas National Forest; the California Supreme Court later upheld the state ban. Rinehart, who was also represented by the Pacific Legal Foundation, said in his petition to the high court that the state couldn't forbid federally encouraged activities like mining on federal lands. Justices asked the federal government to weigh in, a sign of their potential interest in the issue. But Trump's DOJ urged the court to reject the case. California's ban is a "permissible environmental regulation," DOJ said in a December 2017 court brief.